I conducted a little research project with the help of some students from Leeds Metropolitan University a while back. 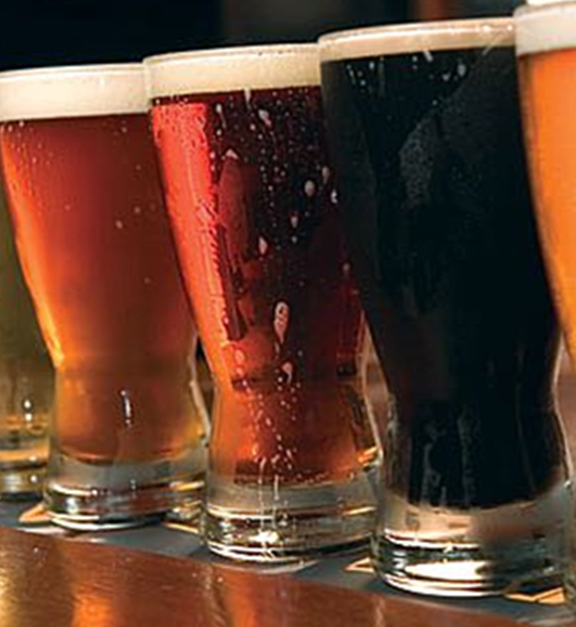 We wanted to find out if the colour of some beers is a barrier to people buying them. Many people (especially younger or female drinkers) actively shy away from black or dark beers because they perceive the drink to be ‘heavy’ or too challenging. So on a rainy afternoon in the middle of the Students Union we recruited a group of students to do a blind taste test using three beers (okay, the promise of free beer was a big draw factor). We chose a very pale ale, an amber beer and a dark beer. All the beers were the same strength, all served at exactly the same temperature, and all were served in the same type of glass. Blindfolding the students (this caused much hilarity when the only blindfold we could find was leopard skin, not mine I hasten to add), we tested 10 men, and 10 women. Each sample of beer was put in the tester’s hand and they were asked to rate each beer out of 10 on taste, and then they were asked to choose their favourite beer. After recording the score, we mixed up the order the beers were served in, took the blindfold off and showed them the samples of beer. We then asked them which of the beers they would choose in a pub based on colour alone. In the female group, 90% - yes, 9 out of the 10 girls picked the dark beer as their favourite in the blindfold test. It was smoother, sweeter, more ‘drinkable’ according to them. With the blindfold off, only 1 of the girls said she would pick the dark beer in a pub. The rest said they wouldn’t dream of ordering the darker beer because – yes, you’ve guessed it, it looked heavy and bitter and thick. The boys had an even spread of likeability across the three beers when blindfolded, but almost all of them picked the blonde beer as the one they would most likely choose on appearance alone, as it “looked more like lager”. It wasn’t a hugely scientific approach admittedly, and we may have had a different result if we tested 200 students instead of 20. But it did make us realise that we have huge preconceptions about flavour and taste of beer when we see its colour – and that sometimes these preconceptions are misguided, even downright wrong. My message this month is to the drinkers who always reject dark beers. Don’t be put off by the colour, judge the beer on its taste and you just might find you’re surprised.